Indeed, it was the amazing author of the alphabet series featuring gumshoe Kinsey Millhone. Which, when you think about it, is virtually unprecedented. Twenty-six mysteries around a single series character in a wide variety of mystery plots. How, one might ask, does she make the magic happen book after book? Right Brain is creative, spatial, playful, disorganized, dazzling, nonlinear, the source of the Aha! or imaginative leap. Without Right Brain, there would be no material for Left Brain to refine. Without Left Brain, the jumbled brilliance of Right Brain would never coalesce into a satisfactory whole. What happens then is that she finds she “slides” naturally into her writing day. There is no hesitancy as there might be if she just got to work on the WIP. Writing about this now excites me. I have to admit I’ve been lax about using this during this NaNoWriMo month. As I write this particular post (it’s Tuesday) I’m a little over halfway through my NaNo novel and feel the need to mine deeper into my writer mind. So I’ll be journaling away for the rest of the month. Yes, it was nice having Sue Grafton show up at my panel and crack wise. Trust. Keep your fingers typing. Lose control. Don’t worry if it’s correct, polite, appropriate. Just let it rip. Stay with the first flash. If something scary comes up, go for it. That’s where the energy is. Figure out what you want to say in the act of writing. If you don’t know what to write in the journal, open a dictionary at random. Pick the first noun you see. Now start writing whatever that word suggests to you. Work out problems in your novel by asking questions and letting your Right Brain suggest answers. Then let your Left Brain assess them. Be specific. When something unique pops up, follow that lead. Don’t hesitate to write for five or ten minutes on one thing if that’s where you’re being led. Be willing to be disturbed. If you’re pantser, the journal will help you decide what to write next. If you’re a plotter, the journal will help you bring to life the scenes you’ve mapped out. And if plot or character takes a weird turn, you can hash it out in the journal until you decide how to use it. Give it a try sometime. I think you’ll be pleased with the results. This entry was posted in Bouchercon, Kinsey Millhone, novel journal, Sue Grafton, writing craft by Joe Moore. Bookmark the permalink. I heard Sue Grafton speak in Oklahoma City. Very inspiring. The thing that took root in me from her talk was her discussion of a common question she gets from aspiring authors: Should I start by writing short stories? Her answer was that starting out by writing short stories will only teach you how to write short stories. She said if you want to write novels, then do it. Start there. That answer resonated with me. Regarding her journal approach, I do a version of that by writing freeform thoughts in note fashion on forward pages of my manuscript. This could be “what ifs” to “don’t forget to do this” or listing important clues not to forget. My notes also can be thoughts on dialogue or a framework for potential scenes that may or may not happen. Or they could be a summary of my twilight dreams plot solutions that I jotted down upon waking. By the time I get to the end, I delete these notes as I make decisions and eliminate the need for them. That’s my version of a journal. By writing these things down, I can let my mind rest and not worry that I’ll forget. It focuses me to explore a more solid approach to the day’s writing as I make progress toward the end. Until your post (& Sue’s journal idea), I never realized how important this “tool” is to my writing process. Thanks for the enlightenment, Jim. Right on, Jordan. The important thing is having an intentional way of coaxing and recording those ideas. There’s the morning, and there’s also what you suggest, jotting ideas down during or after the day’s writing, “forward” as you say. Some people call this a “rolling outline.” I call it, whatever works for you! Ah, the rolling outline. That fits too. Nice to have words to describe this “thing.” Have a good Sunday, Jim. Excellent ideas, Jim — and Jordan. I’ll be sending my clients and other writer friends here today to read these. Ooo I like the idea of using both the journal and the rolling outline! I usually do a rolling outline after I do a rough outline to allow for changes in the scenes and brainstorming. Combining the power of a writing journal with that ought to be awesome! Jim, great post. Thanks for sharing Sue’s insights and your own. I’ve always felt that I could “think” better when I’m recording my thoughts on paper as I go. Always thought that was the analytical part of me. Now I realize that’s the right brain and left brain duking it out. My wife and I also do this verbally. I come up with the crazy “creative” ideas. She brings me back to earth. I tell her I’m the gas pedal, she’s the brake. Thanks for another great post. And have a great Thanksgiving. There is definitely something about writing things down that triggers good things. Some people even say it helps to use pen and ink. Pen…hmmmm…. Another good reason for a novel journal is having all the info in one spot. I don’t write daily, or even weekly most times. However, with the different novels I have churning around in my head, I will at times jot down notes or ask myself questions about how to make a particular scene or event happen. Trouble is, I write those notes to myself in my REGULAR journal, which is sorted by months and years. That’s fine–unless I can’t remember what month I jotted a particular scene note. Much smarter to put a novel journal in the same folder with the manuscript in progress, that way I don’t have to wonder where it is. I keep my novel journal and notes in the Scrivener binder, along with everything else–research, character bios, etc. It was so much more insightful (and inspiring? ), than any (and there were many), American lit classes that dissected the novel (which is still one of my favorite reads). I’ve not read that book, but really should. I love it when writers’ minds are explored like that. I’ve just ordered it. Sounds wonderful. Thanks for the heads up. Thank you for the great post! The timing is perfect for me, as I’m about to start a new book and will definitely use this tool. I was lucky enough to hear Sue Grafton speak long ago, but was unfortunately such a newbie that I couldn’t really grasp all of her words of wisdom. I’ll have to check out the book you mention – thanks again! Great to have you stop by, Robin. A happy Sunday to you, Mr. Bell, and to all the other readers and bloggers. I hope your day is one of creative restfulness. Thank you for another great tool. I was in our local bookstore yesterday and, as I usually do, I spent several minutes looking at their collection of handmade journals. All those blank pages bound in supple leather fascinate me, but in all the years I have been paying homage at that writers’ shrine, I have never brought one home. Perhaps now is the time to let paper, pen, and ink come together. Good idea. And if you do, you might want to try a pen like this. What a gift full of potentiality. Last week I found in a box the cracked, tattered little blue volume I used as a writer’s journal about four years ago, finishing my second WIP and contemplating the next. At the time I enjoyed the process, but didn’t think it was helping very much, especially since my handwriting is SO awful (Sister Ann Thomas would smack my hand with a ruler!) But as I read through it I could remember what was happening, and could see in retrospect the twists and turns my mind and the story took. And very surprisingly, I could actually read my scrawl without too much trouble! It sent me scurrying for a new notebook, and this post confirms it. I now have a blueprint, as it were, to make it a more useful tool. Thanks! Good blog and good tips. 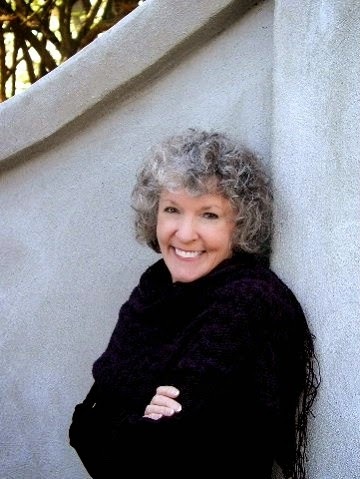 Sue Grafton’s technique is so natural, she makes it easy to slide right into her stories. Her accomplishment with the alphabet series is a wonder to behold. I love the idea of doing a writing journal. You have a similar suggestion in “How to Make a Living as a Writer” and I’ve considered adding that to my journaling. I recently finished “The Artist’s Way” by Julia Cameron, and like a good little scribe I’ve been doing my morning pages. I don’t just write about writing though, mostly it’s how I’m feeling and my doubts. I like the idea of having something more specific to writing, book by book. I sort of do that accidentally, by have a BOOK TITLE Ideas document that I constantly add to when I have new ideas, but I haven’t tried writing in it before every writing session. I think you’ll like the results, Elizabeth. I have. Freewriting is one of the first things I learned as a writer, Natalie Goldberg, etc. The nice thing is it can be used at any stage. Glad it helped you break through, Jane. Great, Julie. It is a tool that will serve you well. Good luck with #2! How fun that she was in the audience! I’ve read some of her books. Great stuff. I can see how this would be really helpful. I’ll try it myself. Now that I’m 44k into my novel, I’m having to bring pieces together. Nitty gritty time coming up soon!